Detail: Male to Female cigerate lighters extender. Extended Cord Length: 6 ft / 1.8 m long. 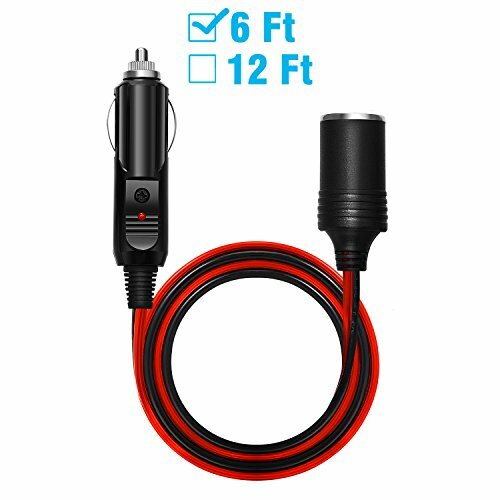 Application: Easily Extend your 12 V - 24V Maxium 10amp DC Power Source when Travelling & Camping | Air Pump | Vacuum Cleaner | Tire Inflator | Charger | Fridge | Replacement (See Picture 5) or to use Car Vacuum,mini fridge,car coffee maker or any portable vehicle electric devices indoor.